We’re on track to build the #futureofwork! It’s been a year of hustling and building Indiez. We’re killing it! Our global community works from anywhere, anytime and on products that they truly love. No more having to be bogged down by a list of features that need to be developed in a shabby manner — just because the deadlines are unrealistic or the boss is being too snooty and giving you no space to use your creative side. Only the most serene and different workstations every day, that let you think clearly about how you can make a product better — after all, who wants to create another product that does just the same thing as others? However working in a remote environment is difficult. And over the course of one year we were able to crack how to manage work remotely in a seamless manner. Now we use amazing tools like Slack, JIRA Service Desk, Trello, GitHub, Dropbox etc heavily and have built an intelligence layer on top of these tools. These allow us to fuel speedy and reliable product development. Right from a company or an individual sharing their product idea with us, to defining its market, product development path and executing it to the T, our talent makes use of only the best global practices and never fails to keep up. Indiez has completed more than a year of building the #futureofwork. We have built a community of 300+ people working remotely, with the freedom of choice and fulfilment of purpose, all while creating kickass products that are loved by millions! Talent from early stage ventures like YC, 500 Startups and tech giants like Facebook, Uber, Grab and more feel at home today while working on only what they love. Despite being spread across 30 countries, the members are now active parts of the dream teams of many, building world class products with only the best of ethics. They fight, troll, learn and build amazing stuff together. Working with multinational brands like Dominos, Aditya Birla and many renowned companies, and 100+ startups right from the point of ideation to creating billion dollar companies, Indiez has been there, done that and established a name for building the highest quality of products. Some of those startups were even able to raise venture funding from the likes of Sequoia Capital, IDG Ventures, Accel Partners and many others. 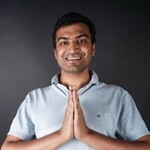 And some of them scaled to 10 Million + users. Don’t believe us? Take a look at some of the projects we have worked on so far: Indiez Projects. In our zest towards defining the future of work and bringing a revolution to how products are being built today, our team is constantly working towards taking Indiez global. Be it encouraging talent to join or consulting with companies to make an impact on their digital journeys with products that are built to perform. We will now have the opportunity to work with global brands and professionals from all genres. Exciting products in the making! Putting in hours of work, encouraging our community to do their best and creating the best environment for them to work, Indiez has now expanded to the Bay Area, US — all with a brand new identity! We have a brand new website built by the best in our community, that is sure to set new benchmarks for everyone! We believe in our community and so we decided to let them define the true meaning of Indiez — freedom, fulfilment and the future of work. What you see today was built by Polish Illustrators, a Ukranian Designer, a San Francisco Based Lead Designer and a Front End Developer based out of India. Our website was truly built by a global team. Indiez is now an active part of the startup community in the Bay Areaand can be pinned down for a great brainstorming session by mailing them here. We are now socially as active as your friends. So go ahead, and follow us on Facebook, Twitter, Instagram and LinkedIn, if you haven’t already. We don’t spam you with irrelevant posts, we just make sure you discover the best of opportunities and the best of people to work on your products with. Where do we see ourselves? We see ourselves encouraging talent to live a lifestyle they have always dreamt of — free and complete with professional fulfilment. We see ourselves enabling our members to work in the future. And we see ourselves revolutionising the way products are built today by getting back to the basics with a modern approach. 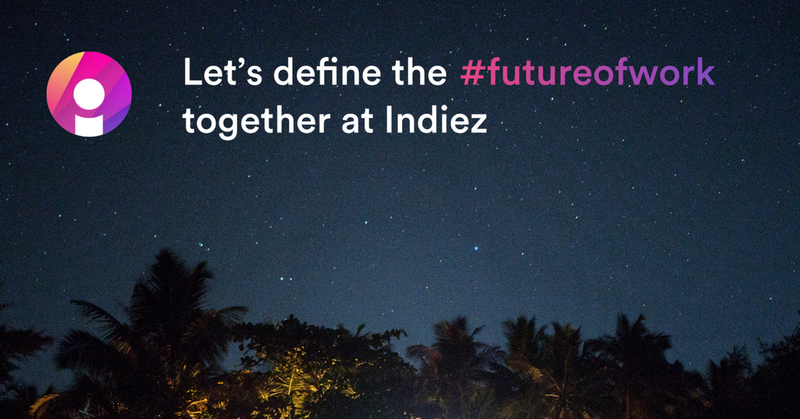 Excited to know more about how you can work with the Indiez community or join us in our journey to the future? Let's talk about how Indiez can help you take control of your tech! Made with ❤️ in DC. © 2019 Freelance Community INC. All rights reserved.